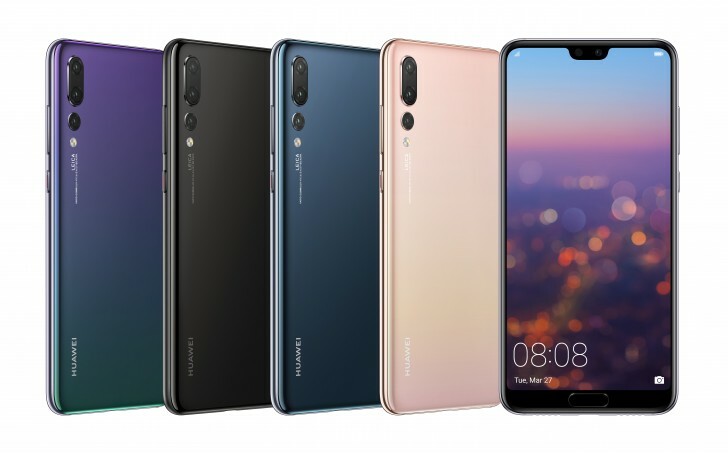 Today Huawei P20 and Huawei P20 Pro premiered at a special event in Paris, France. The new flagship duo notched screens, stereo speakers and various camera improvements including the new Leica Triple Camera. 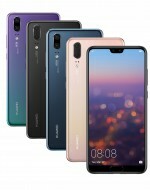 The Huawei P20 is the smaller of the two devices. It packs a 5.8" LCD with a notch and resolution of 1,080 x 2,244 pixels. The matrix behind the glass is PenTile RGBW - the same as on the Mate 10. Just below the screen sits an always-on fingerprint reader, doubling as a multi-purpose control key. The P20 runs on the Kirin 970 chipset with an octa-core processor (4x A73 + 4x A53), Mali-G72MP12, and 4 gigs of RAM. There is 64GB storage that can be expanded if you forgo the second SIM as it's got a hybrid slot. The chip also has Huawei's dedicated NPU for machine learning acceleration. The P20 comes with an upgraded Leica Dual Camera with a new larger 1/2.3" 12MP RGB sensor with OIS, f/1.6 lens and 1.55µm pixels. The second snapper is a 20MP monochrome shooter - same as on the Mate 10, also behind f/1.6 lens. The camera on the P20 does come with all sorts of autofocus assistance (PDAF, laser, contrast, and depth detection). There is also a dual-tone LED flash. The P20's camera can do portraits, various background and lighting effects, 2x lossless zoom, and it can capture 720p@960fps slow-mo videos. There are various AI advancements, that we'll mention in a bit. A new 24MP front camera behind f/2.0 lens will be doing the selfies. It can do bokeh and studio-lightning effects and enables Face Unlock. 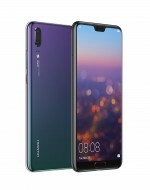 Huawei P20 is powered by a 3,400 mAh battery with support for Huawei's Super Charge. The P20 design is a departure from the P9 and P10's metal shells. Instead, it comes in a rather trendy dual-glass body reinforced with a metal-frame. The P20 is IP53 rated for dust and splash resistance. The signature color of the series is Twilight with a very catchy gradient. It will be available is all markets. Other color options are Black, Midnight Blue, Pink Gold and Champagne Gold, but some of those will be region dependent. 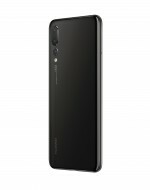 The Huawei P20 Pro is the headliner of the series as it packs the new Leica Triple Camera. 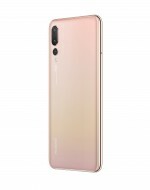 The P20 Pro is built around a slightly bigger 6.1" screen with the same 18.7:9 aspect and notch and identical 1,080 x 2,244 pixel resolution. It's an OLED panel, however. The fingerprint sensor is also at the front, always-on, and supports swipe gestures. The Kirin 970 also powers the P20 Pro with the same octa-core CPU (4x A73 + 4x A53) and Mali-G72MP12 GPU. The Pro model will come with 6GB of RAM and 128GB expandable storage. The Leica Triple Camera is certainly the most interesting bit here. The separated sensor is a 20MP monochrome one behind f/1.6 lens. Moving to the larger hump - there is a 40MP large 1/1.7" color sensor with f/1.8 lens and OIS, and an 8MP color one with f/2.4 telephoto lens. The camera features the same 4-way autofocus, there is a dual-tone LED flash with an embedded color temperature sensor, and this whole thing can do 3x optical zoom and 5x hybrid zoom. Other highlights of this new setup include the jaw-dropping maximum ISO of 102,400. Instant autofocus on anything that's as close as 3 meters and screen off-to-shoot time of 0.3s. Finally, this triple-cam is capable of 720p@960fps slow-mo capturing and is relying heavily on AI for lots of new features and effects. Just as the P20, the P20 Pro has a 24MP front snapper with f/2.0 lens that can do a variety of background and lighting effects, but also can be used for Face Unlock via 2D mapping. 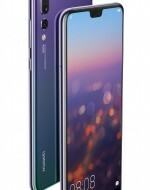 Huawei P20 Pro is powered by a large 4,000 mAh battery that supports Super Charge via a proprietary 22.5W plug (58% in 30 mins). The Pro has the same design and build as the P20 but is IP67 rated for dust and water resistance. 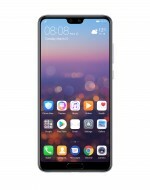 Huawei P20 and P20 Pro will run on Android 8.1 with EMUI 8.1. It gets a new option to go with the new screen - it lets you darken the top and make the screen behave as it had no notch. 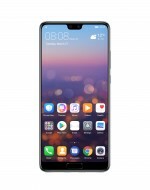 Huawei P20 is available immediately, while the P20 Pro will hit the stores April 6. The P20 costs €649, while the P20 Pro will set you back €899.